Not so long ago I had to add 2 hundred users to SharePoint group. First I wanted to add them partially, but I understood that to do it via PowerShell is faster. 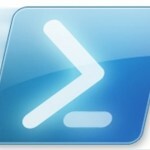 Below I write down a PowerShell script to add users to SharePoint group by login. It will decrease the time to complete the same task next time.